Governor of Egypt’s Central Bank (ECB) Tarek Amer conveyed Egypt’s intention to implement serious steps to strengthen cooperation between African countries. 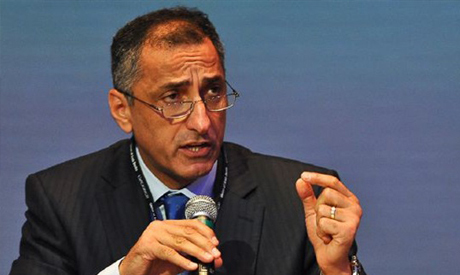 Speaking on behalf of Egypt's government and President during the annual meeting of the African Development Bank on Monday in Busan, South Korea, Amer added that Egypt intented to join in the efforts of funding institutions and regulatory authorities. Amer said the meeting was an important chance for the African Development Bank to represent the African continent, in cooperation with a major Asian country in possession of remarkable economic experience. Amer called Egypt’s participation in the meeting a significant chance to broaden economic understanding, and a sign that Africa has already begun to listen and learn from those with leading economic experience to maximize the potential of economic development for all African people and countries. Amer also signaled the importance of financial technology as an essential measure to achieve financial inclusion, stating that Egypt and the ECB are ready to take strong steps in this direction. He added that he spoke with President of African Development Bank Akinwumi Adesina about ways of implementing structural reform in African countries. The talks with Adesina focused on good governance as a key component in aiding African institutions to improve their readiness to deal with foreign and domestic investments, and to counter bureaucracy. Amer also highlighted the importance of combating corruption in Africa to remove obstacles standing in the way of business and the achievement of economic development. Amer said that improving the business climate requires basic structural reform. "We in Egypt take this issue very seriously, especially since we were able to accomplish the first phase of our economic reform program and our monetary policy, following the liberalization of the exchange rate by the ECB in November 2016," Amer said. Egypt also addressed serious fiscal imbalances in coordination and cooperation with the International Monetary Fund (IMF) to confirm its commitment to the implementation of the country's reform program, according to Amer. ''We have taken positive steps to address macro-economic imbalances in Egypt; our economic performance indicators have improved beyond expectations and encouraged Egyptian policymakers to take further steps towards economic reform,” Amer affirmed. "We’ve made substantial progress to educate our society, and succeeded in demonstrating the importance of action. We are continuing to move the economy and our people on to an unprecedented stance, which would not have been achievable without courageous leadership and political will," he added. Amer also said that the decision to liberalize the exchange rate was one of the greatest and most courageous economic decisions taken, leading to the improvement of Egypt’s current account by 64 percent in one year, the increase of foreign exchange reserves to cover nine months of imports, a three percent fall in unemployment, and the easing of inflation from 33 percent to 13 percent. “These indicators confirm the remarkable progress of the Egyptian economy, with economic growth up to 5.3 percent in the last quarter of 2017', Amer concluded.